I know, I know – I am spoiling you with three posts already this week, including the rather popular one on my total failure in the area of sleeping attire – however I just wanted to do a quick lunchtime post on something that almost passed me by. Today is, drum roll please….International Credit Union Day! Do not adjust your sets, this aims to be a short and informative post, on something that can be a real benefit to YOU and the community you live in. There are roughly 500 credit unions throughout the UK. There are some differences, but they all work along broadly similar lines – that is, they manage savings, and offer loans, to a group of people who have something in common. That something is usually, but not always a geographical area. For the purposes of this article I’m going to talk about the geographically based credit unions, and why I believe people should consider them alongside banks when looking for loans, current accounts and savings. Credit Unions offer loans to their members, which do not have any hidden charges or secret costs, nor will they attempt to bamboozle you into taking expensive and useless loan protection. Interest rates are often lower than those advertised elsewhere, and credit unions will usually be happy to lend relatively small amounts, say £100, whereas banks will often have a far higher minimum loan. Credit Unions tend to be more ready to lend to those who are refused funds elsewhere. They will want to work closely with you to make sure you can afford to repay what you have borrowed, as well as meeting your other living costs, and they may ask that you save – even a very small amount – before being considered for a loan. Many credit unions offer basic current accounts, and again, these are available to those who are excluded from traditional bank facilities. These accounts will usually have far fewer bells and whistles than a bank account, for example debit cards may not be readily available. However, an account with a credit union may well offer other useful features, eg a ‘jam jar’ account to immediately ring fence the amounts needed for essential payments such as rent, when the account receives a credit. This can be a lifesaver for certain vulnerable groups of people, for example young people leaving care; adults with limited understanding of money management; or even just people who are having to manage their money for the first time due to the introduction of direct payments. I am lucky at the moment in that I can afford to save a small amount every month. I choose to save with my credit union -the biggest selling point for me being that I know where my money is going – and more importantly where it’s NOT going. It’s not investing in the arms trade, being used to shore up dodgy food speculation practices, or buying some corporate fat cat a yacht. Instead, my savings are being used to make small loans to people in my local community. Probably to people who are excluded from traditional lending institutions, who are at risk of aggressive targeting by the frankly despicable payday loan companies. So, there you have it. If you have been refused help or even not allowed to open an account at your bank, consider a credit union. If you need a loan, or know someone who does, please steer them away from payday lenders and get them to talk to a credit union. And if you are lucky enough to be a saver, please also think about saving with your local CU, because your money will be being used to help those in your local community. You can find your local credit union here, and if you live in Cardiff, you can check out Cardiff and Vale Credit Union here. Here endeth my speedy lunchtime post – back to work I go! Disclaimer – I haven’t been asked to write this post, and I’m not receiving any incentives to do so. Yes indeed, this post is about who made my pants. Why? Because it’s an important question, that’s why. And it’s not only my pants (or yours) – the question could equally be – Who made my jeans? Who made my phone? Who made my milk? For 99.999% of the stuff I own, I don’t have a clue who made it. The supply chain for most of the stuff we tell ourselves we can’t live without is so vast that it is impossible to discover who, actually, did make the vast majority of it. But one thing we can all be pretty sure of – it’s not the folk that made our stuff, that benefit from us having bought it. This bothers me. I would consider myself to be a reasonably ethical purchaser, yet really and truly, I know that pretty much every day, I’m lining some corporate fucker’s pockets, at the expense of the people who are squashed into an anonymous, frightened heap at the bottom of the supply chain. It bothers me – but I feel powerless to do anything real about it. So I muddle on, trying to do the best I can, and trying not to listen too much to the guilty voices in my head. Well – luckily for the world, there are some amazing people out there, who don’t just ‘muddle on.’ And one of those amazing people is Becky. Becky set up a company called Who Made Your Pants back in 2008. In a nutshell, Who Made Your Pants exists to create work for women who would otherwise not have any, and, of course, to make luscious pants! Have a look – they really are lovely. And best of all, they come with a little tag attached that tells you who actually did make your pants! I’m not going to shy away from the fact that the cheapest pair of pants these ladies make is priced at £12.50. Admittedly, my first reaction was ‘£12.50? That’s more than I spend on pants in a YEAR!’ (sad, but true – I must confess to being an M&S 5-packer for most of my born days). But then I got to thinking. If it costs £12.50 to produce a pair of pants, from remaindered lace that would otherwise end up in a skip, for a social enterprise that is not set up to make a profit, then what are the REAL costs of my bargain 5-packs, made who knows where in who knows what conditions? And once the thought had formed itself, I really couldn’t hide from it. So now, my pants drawer is being slowly but surely replenished so that eventually, every day I will know that at least ONE item I wear is making a real difference. 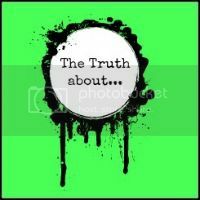 November 2014 – I’m joining this post up with Sam’s linky ‘The Truth About’ – click below for more truthful tales!